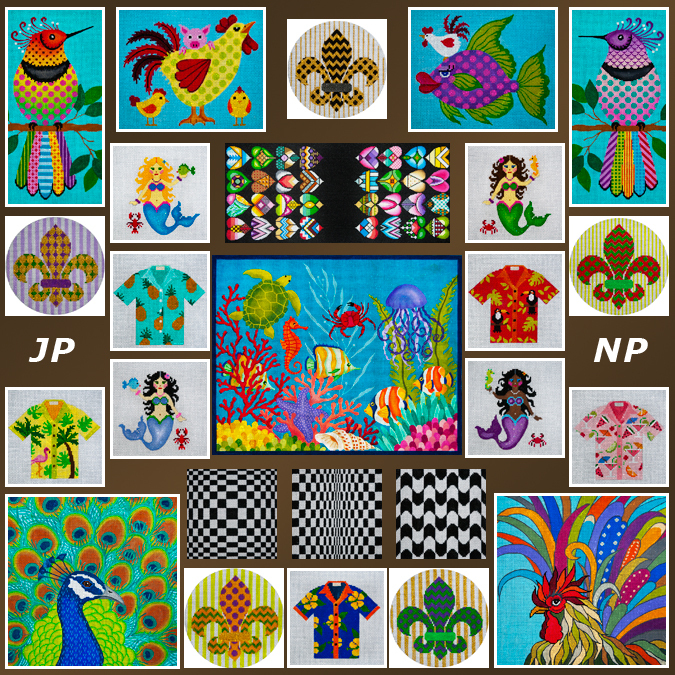 JP Needlepoint is a wholesale manufacturer and distributor of fine, hand-painted needlepoint designs. We use only the highest quality painting materials and Zweigart mono deluxe canvas. Our huge variety of unique, stitch-painted designs from artists Juli Poitras and Devon Nicholson includes something for every stitcher from the beginner to the expert, and for every taste from the whimsical to the refined. Please peruse our galleries, and feel free to contact us with any questions you may have. We’ve just updated our site with all Juli’s latest designs! Check our JP Needlepoint Facebook page for news updates! Follow Juli's blog on WordPress: Click here!